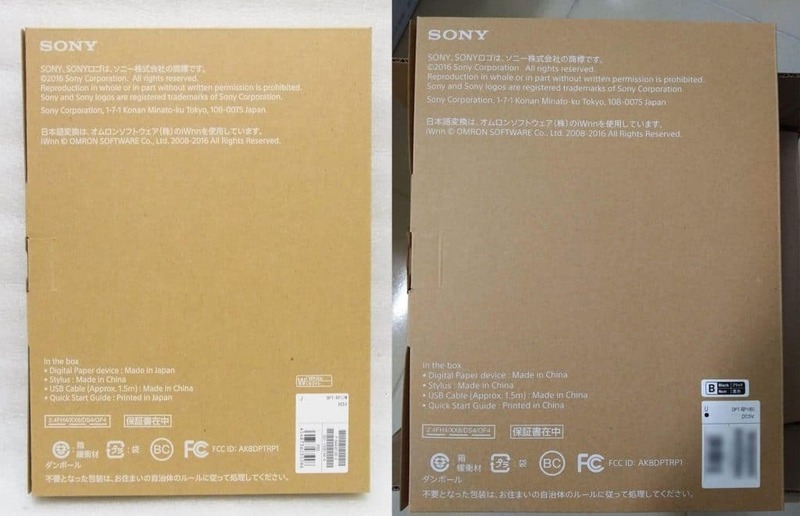 Sony is no longer manufacturing the Digital Paper DPT-RP1 in Japan and has outsourced it to China. All new purchases made on Amazon, B&H and other official distributors in the United States and Japan are receiving the Chinese variants. The Sony Digital Paper DPT-S1 and early versions of the DPT-RP1 were designed and manufactured in Japan. This was a sign of high build quality and expert assembly, which won consumer trust. Now that everything is being made in China, will this affect the overall build quality or drive down the prices for the end user? Moving all of the manufacturing and product assembly to China could be a byproduct of the Sony and E-Ink partnership that was established last year with their Linfiny initiative. They banded together for the designing, developing, manufacturing, selling, distributing and licensing products that utilize electronic paper displays, as well as related applications. The Sony FES Watch U was the first product that was apart of this new relationship. There is no word yet on what Chinese entity is now making the DPT-RP1, but we do know from recent FCC documentation that Netronix filed the new DPT-CP1 on behalf of Sony. This leads me to believe that Netronix will now be manufacturing all Digital Paper products now and in the future. Netronix is one of the oldest manufacturers of e-readers and they have designed and produced all of the Barnes and Noble Nooks, Kobo e-readers, Good e-Reader 13.3 and 6.8 and dozens of other devices for smaller companies. China can make quality products if they are being paid to do so. Apple’s products are made in China for instance. I’m not too worried about the build quality. Sony is probably paying for quality because they are Sony.